Home analysis measurement social media social media strategy Why Should You Care About Analyzing Your Social Media Presence? Why Should You Care About Analyzing Your Social Media Presence? In the development of a social media strategy, or any strategy for that matter, measurement and analysis plays a key role. Without this, how does one know whether they've accomplished what they've set out to do? Simply, they don't. Below are brief introductions to just a few of the analysis tools available for three of the most popular social media tools out there - Facebook, Twitter, and Pinterest. Insights. Facebook provides administrators of Pages with their own internal measurement and analysis tool, Facebook Insights. Not only can you get simple demographic data about the people who "like" your page, you can get a breakdown on the level and type of interactions that are occurring when you post content. Paying attention to Insights data can help you provide the content your followers value, a key to measuring the success of your social media strategy. Check out my blog post on using Facebook Insights. TweetReach. This third party tool measures the activity of your tweets. Enter a search term - hashtag, username, keyword, URL, etc. - and TweetReach will generate a report telling you how many accounts were reached, how many impressions were generated by the tweets, the types of tweets in the report (tweets, replies, or retweets), and the top contributors. There are both free and paid TweetReach account types. Unless you're a real data junkie that thrives on real-time monitoring of your tweets, the free account will probably meet your needs. PinPuff. 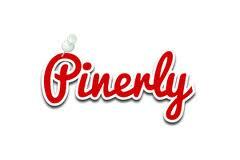 PinPuff provides you a score, similar to Klout, for your Pinterest activity. It also attempts to measure your reach, activity (influence), and the virality of your pins. While I don't find these scores particularly helpful - descriptions of what the scores mean are vague and seem subjective - the quick stats are nice. PinPuff gives you, for both your overall Pinterest account and each of your boards, the number of followers, repins, and likes; numbers that are hard to come by on Pinterest. Klout. Klout attempts to determine people's level of influence by measuring their interactions on social media (Facebook, Twitter, blogs, foursquare, etc.). Your Klout score, a number between 1 and 100, is calculated by looking at aspects of social media engagement - likes, comments, re-tweets, shares, etc. The number of followers or friends you have doesn't impact your Klout score; engagement is the only thing that matters. Klout is also the only tool (in this list at least) that draws together information from all of your social media accounts. Are there social media analysis tools that you're using and find valuable? Tools that you know of, but would like to learn more about? To learn more about social media analysis tools and how to effectively use them as part of your social media strategy, check out Penn State Extension's upcoming webinar series - Social Media and Mobile Technology for Ag Businesses - where you can learn about this, and other great topics.